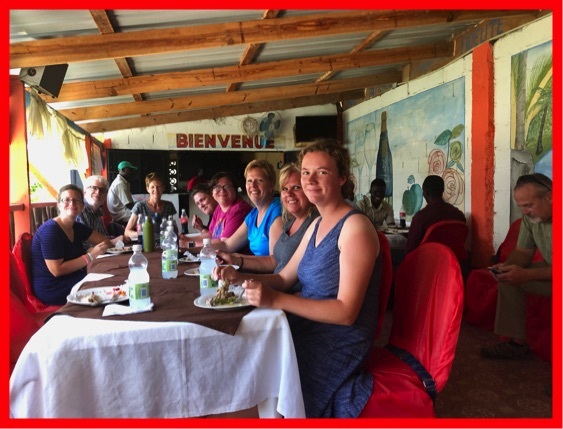 Needless to say--I love going to Haiti, so I was very happy to have the opportunity to spend one week (April 12-19, 2018) at the Many Hands for Haiti (MH4H) Campus in Sylvain. 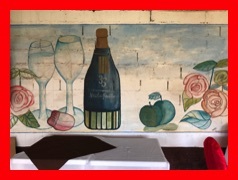 As usual, I couldn't begin to tell you all we did, but I will share with you a few things that made this week so special. Last time I saw the goat barn, it was on the MH4H campus. Now the goat project has been moved to a new and expanded secure location. 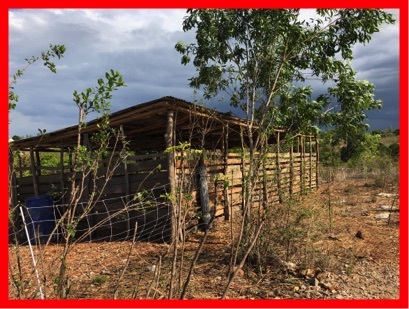 There have been many attempts at goat supply projects in Haiti, but I think this one has great potential for long range success. 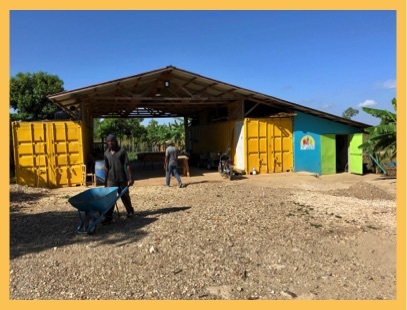 It would be difficult for me to explain how it actually works, but this project was well thought out and it should provide food and an income source for many Haitian families for years to come. 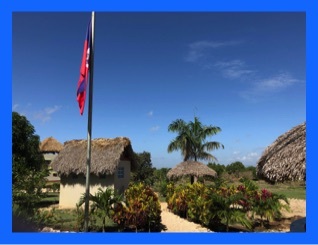 Left: The Mission Guest House is a dormitory for the short term mission teams. It is also the home of Craig and Christi Gabhart, Operation Managers for Many Hands for Haiti. Left: The other residential building on the campus is also the newest. 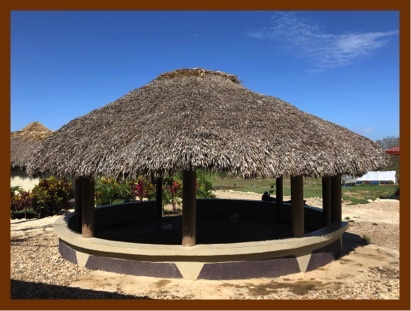 Irene's Place is the home for long term missionaries. Right: The Agronomy Building was the first structure to be built. It is used for storage, vehicle repair, and various agriculture projects originate here. Left: The Gazebo is right in the middle of the campus. 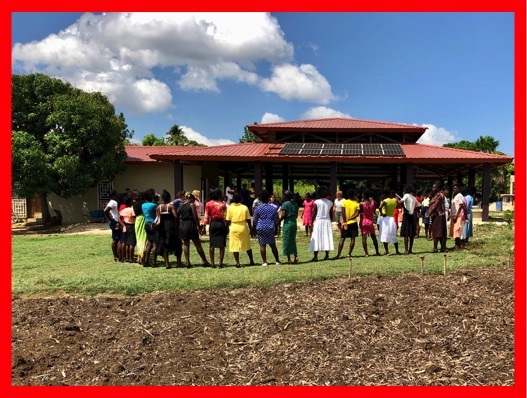 Both staff and workers gather here for prayer time, meetings, and instruction. 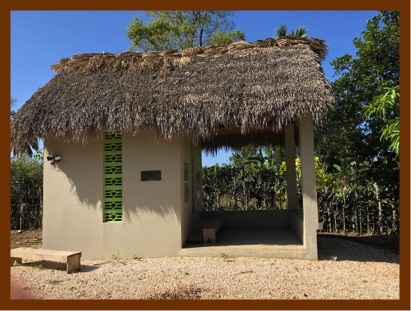 Right: The Well House, to me, is a miracle. 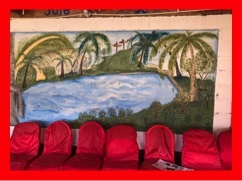 l never thought I would find a place in Haiti where you feel safe to drink water right ouf of the tap--but you can here. 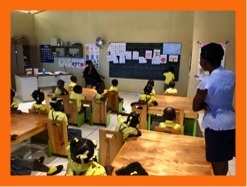 The School of Light is a wonderful eduction facility for preschool 1, 2, and 3. The children are so attentive and eager to learn. It is my hope that each of them will learn to read and write and will find his/her own little niche in society where they some day can find a job to feed their families. 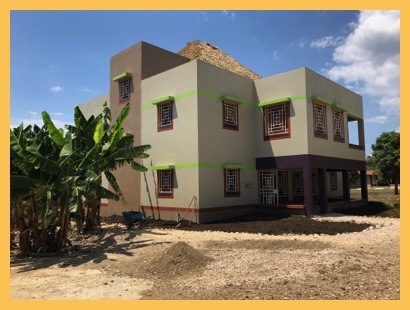 The Equipping Center is a multi-use building, but its primary purpose is to provide practical, physical and spiritual training and guidance for young mothers. This fabulous program called First 1000 Days is lovingly supervised by long term missionary, Liz Clark. There is something special going on at the Equipping Center this week. These ladies are receiving some very important information that will help their babies in months to come. This weeks seminar focuses on lactation and breast feeding. Our team leader, Andrea Mathes, is accompanied by three of her very wonderful friends from Sioux Falls, South Dakota. Diane, Sheryl, Rhonda, and Andrea are working with these mothers. 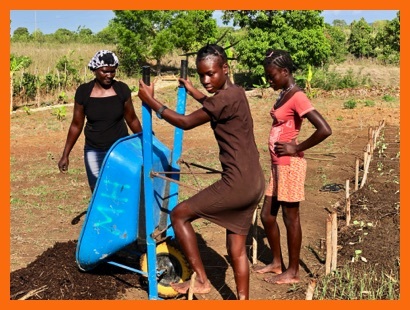 The goal is to provide them with information that will encourage them to provide a healthy, natural and nutritious source of nourishment (mother's milk) for a longer period of time. 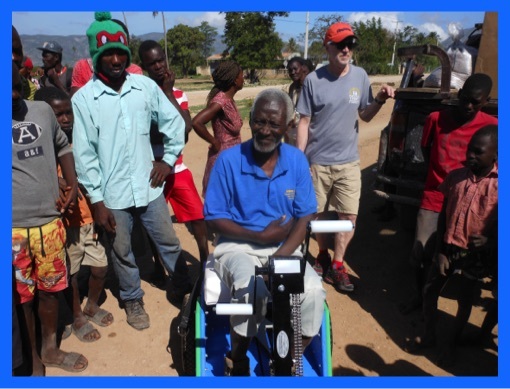 Christi, Jeff and I delivered hand powered PET carts to people who have lost mobility in their lower extremities. These carts are made by a great group of men and women from the Pella, Iowa area. 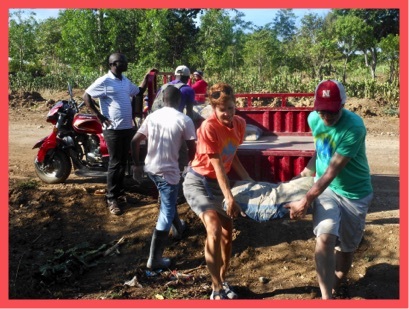 It is such a thrill when these people arrive at our truck on crutches, being carried by others, or actually crawling along on the ground. Each is fitted with a cart and drives away using his/her own hand power. This story gets better! 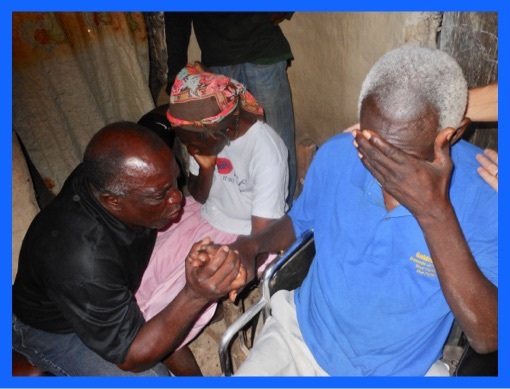 Pastor Sainphirin has been working with and witnessing to this very needy family for some time. Today, both the man and his wife prayed to receive Jesus as their Lord and Savior. We most certainly will see them again--and they won't be needing those carts! 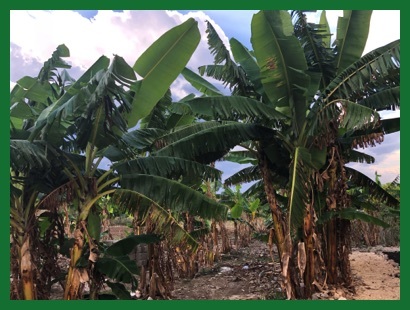 The last time I visited MH4H Sylvain Campus, there were about 5 acres of banana trees. The initial thought was to provide some food for the community. 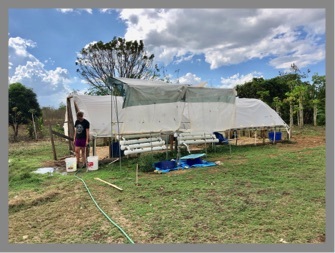 But after careful evaluation, the MH4H staff decided this was not the best utilization of the land because their long range goal is to teach the people how to become more self sufficient. 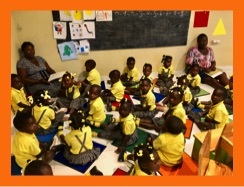 The ladies above are already part of the First 1000 Days program and some of their children attend the School of Light. More land is being set aside for community gardens for people in the community. 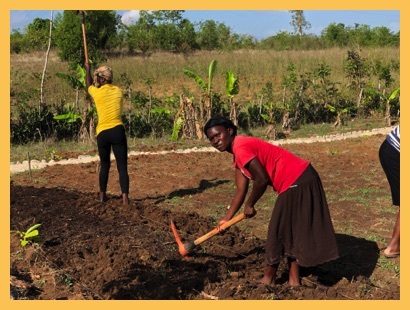 Full time agronomist, Claudin, will provide instruction and guidance, but the Haitian families will provide the labor. 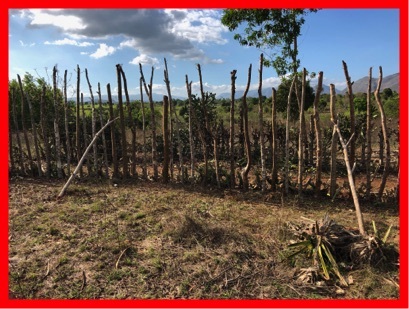 Then hopefully some of those people will have gardens in their own back yards--but water supply is always a challenge in Haiti. 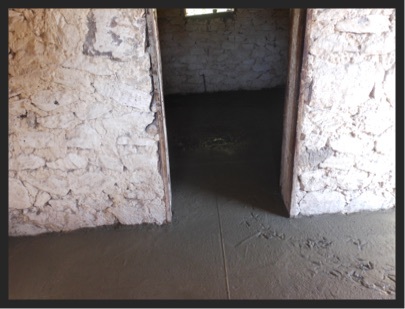 Through the project known as Something Concrete, MH4H has provided clean dry floors for hundreds of people in the Sylvain area. But wouldn't you know--they saved one for us! Here Christi and Jeff are unloading the bags of cement. Piles of sand and rock-gravel are already in the yard. 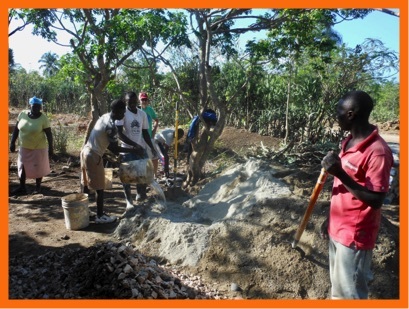 Water is added and all ingredients are mixed together with shovels. The finished product is loaded in buckets and carried inside. Lower right: In the U.S. the kids like to put their initials in the newly finished product--but this is Haiti and those are chicken tracks. 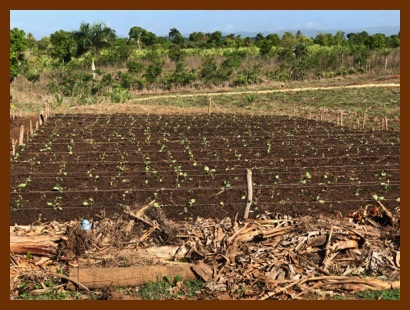 In Haiti agriculture is a challenge. The soil is often poor quality, water is scarce, and rain is seasonal. Hydroponic gardening is a process of growing plants without soil using mineral nutrients and minimal water. 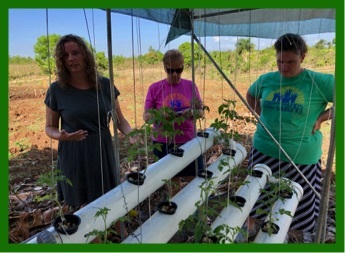 Above left: MH4H Administrative Coordinator, Micah Aurand, (in dark dress) has her own experimental hydroponic garden. Her plants are challenged with fungi, insect control, etc. The things she learns from her garden are applied to the larger facilities (middle and right). 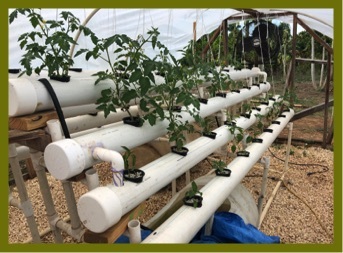 When this system is refined and the "bugs are worked out"--the goal is to have Haitian owned and operated hydroponic systems out in the community. Hopefully, this will help to feed the hungry! My view for the month: In my opinion, Many Hands for Haiti is doing things the right way. Here at the Sylvain campus they have so much going on with a focus toward the future. I covered just a few of them. They do a wonderful job of helping people who cannot help themselves, but it goes way beyond that. 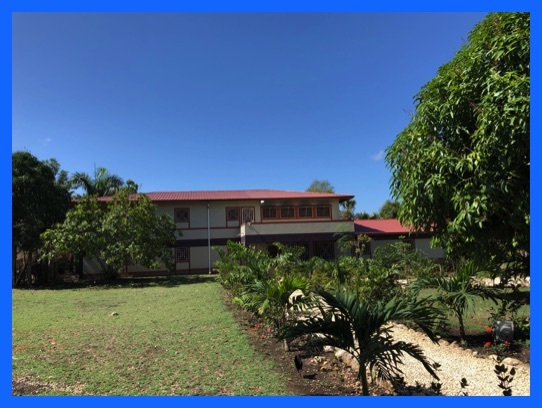 The MH4H Campus is primarily a teaching and administrative facility. 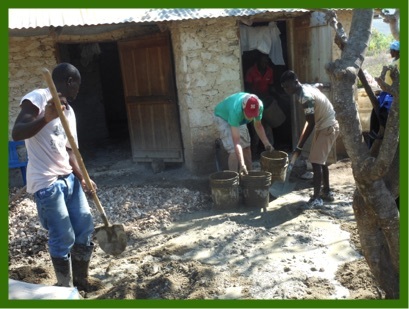 The staff includes many very capable Haitian men and women who love the Lord and love people in their community. 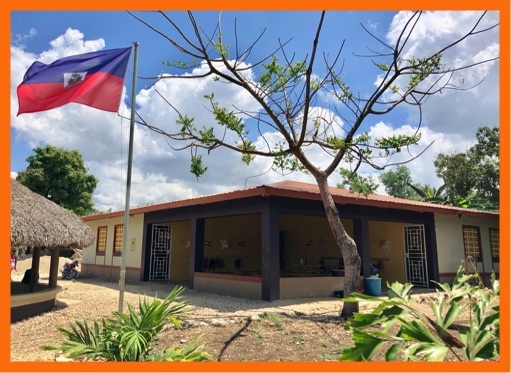 They work hand-in-hand with the MH4H missionaries to demonstrate the love of Jesus, as they develop concepts and programs to help alleviate hunger, provide employment, and a better quality of life--all of which hopefully will be self sustaining for the people of Haiti.